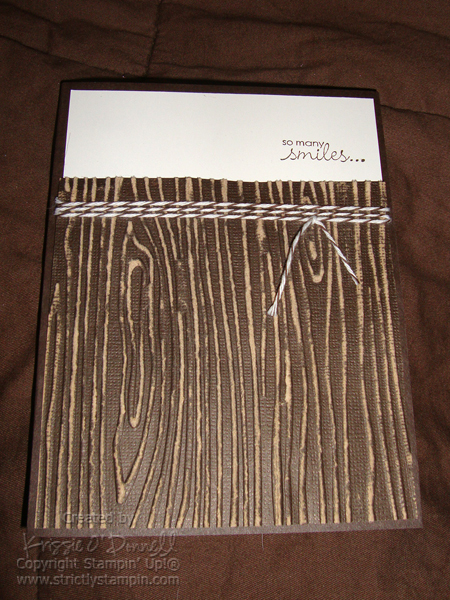 This card features 2 great new products: The coredinations cardstock that can be embossed and sanded for a two tone look, and the Wood Grain embossing folder! 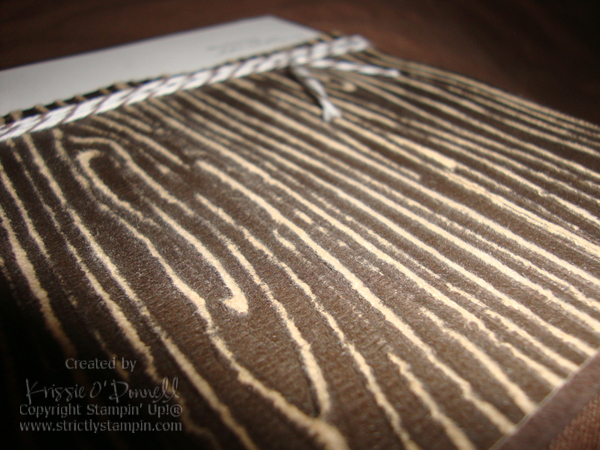 Love them both, the wood grain comes in quite handy for masculine cards. I must also give a disclaimer that the coredinations cardstock is quite delicate. It is thinner than regular cardstock and this embossing folder is a bit harsh on it so it can tear easily, especially when sanding, but other embossing folders don’t give quite the same issues… but since its only tearing “with the grain” its easy to disguise with extra adhesive where it tears. Can you spot where it tore? There are 2 places 😀 I can’t see it. Check out the Coredinations line here!